Are you a cat parent with a catio living outside of the United States? 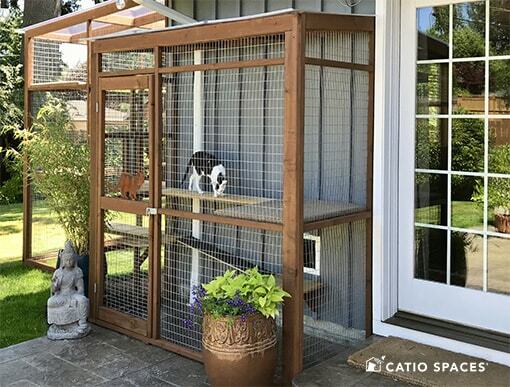 Help inspire cat parents around the globe by sharing your reasons for having a catio! We’d love to see photos of your catio (and of course, your cats too). You might also be featured in one of our upcoming newsletters showcasing catio success stories! How do you say cat in your language? Please email Horizontal photos only to info@catiospaces.com. Include your name and country. 2-3 interior photos (from inside your catio) showing your cats enjoying their catio, decor, etc.